Fuel teaching and learning with digital creativity! through their writing, their voice, and their art. 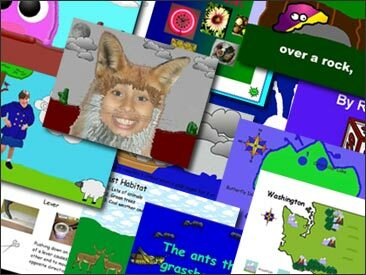 "Wixie is a great tool for my students to showcase their learning by creating original digital projects, which can be easily shared with their teacher, classmates, and family members. It is a unique program that allows students to access all 4 C’s, is highly engaging, and most of all FUN! My students cannot wait to log in to Wixie to start or finish a project, and ask about it all the time!" Hundreds of thousands of students and teachers are using Wixie every day! Blending text and voice recording with original art and images makes Wixie the perfect canvas for today’s digital learners. 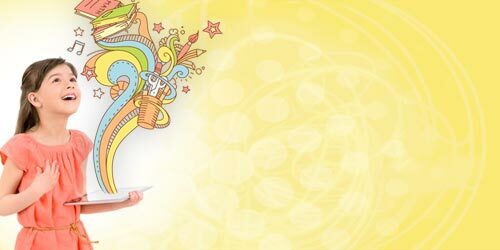 Wixie gives students powerful tools to author a variety of performance tasks that demonstrate understanding, encourage critical thinking, and build creativity and communication skills. Wixie is the perfect canvas for today's learners, providing powerful tools to create original work, collaborate with peers, and demonstrate their understanding of the curriculum. 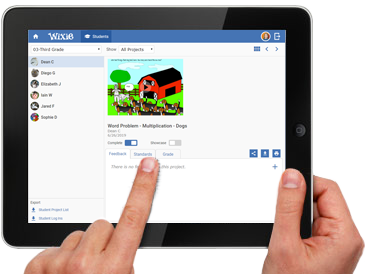 Wixie’s instructional tools help teachers plan, implement, and evaluate student work. Teachers can manage assignments, track student progress toward curriculum goals, and assess student work using customizable rubrics. Students create and store their work online. Student accounts are connected to teacher accounts, so no one has to manage files or turn in work. Teachers can choose from hundreds of activities correlated to academic standards. Standards can also be assigned to original student work. Teachers and administrators can follow each student's progress toward a specific standard, see how well they performed, and determine which standards still need additional reinforcement. Wixie works in browsers on Windows, Macintosh, and Chromebooks. The Wixie app lets you log into your account on iPads and Android tablets. Not everyone is fortunate enough to be a 1:1 campus. Students often need to share classroom devices, work in labs, or use carts that move from class to class. Since students start by logging into their account, each device can be easily shared by several students or students can use multiple devices to complete a project, schools can maximize the computers and tablets available. 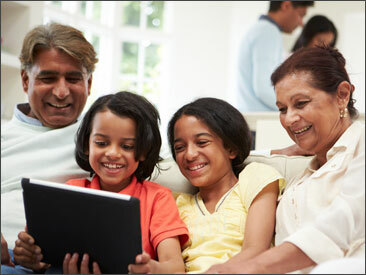 Wixie supports strong school-to-home connections. Since student work is in the cloud, it is easy for students and teachers to share work with family and community. Available online without the extra step of publishing work, students can easily share their work outside of the classroom, providing a broader audience for their efforts and motivating them to do their best. Students collaborate in real time! 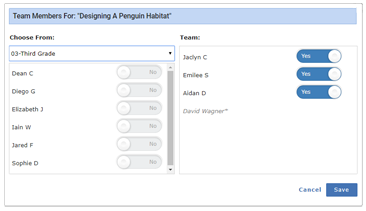 The Team feature allows students can work together on projects, in the classroom or at home. Real-time collaboration means that team members can add and edit content asynchronously or at the same time. Peers can work together, drawing on individual expertise, experience, and insight, to write and design pages for the most effective 21st century communication. Teachers can create a file or template and assign it to specific students to complete as a team. Students can also add other students in their classes to a project on their own. In both cases, teachers are automatically made part of the team to monitor student progress. 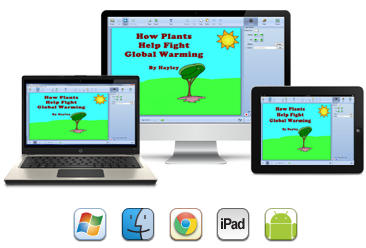 Join the teachers and students who are using Wixie every day! Your students will benefit from bringing their words, their voice, and their art to the curriculum.